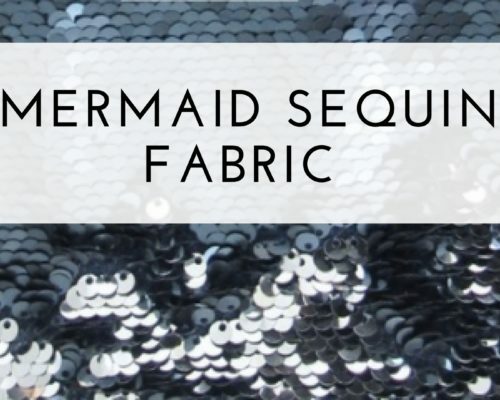 Top Mermaid Party Supplies For A Magical Time! Let’s Party! 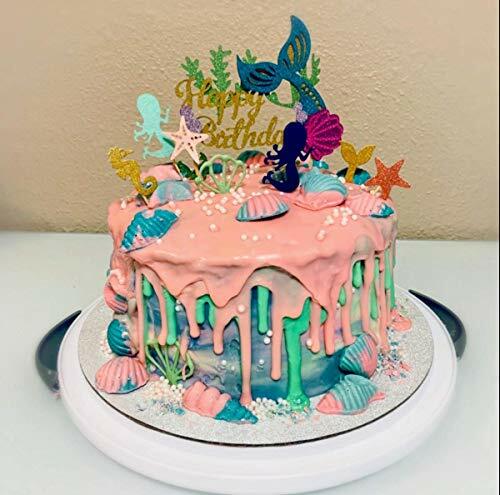 Mermaid themed birthdays, showers, or Halloween parties are always a hit no matter what age you are. 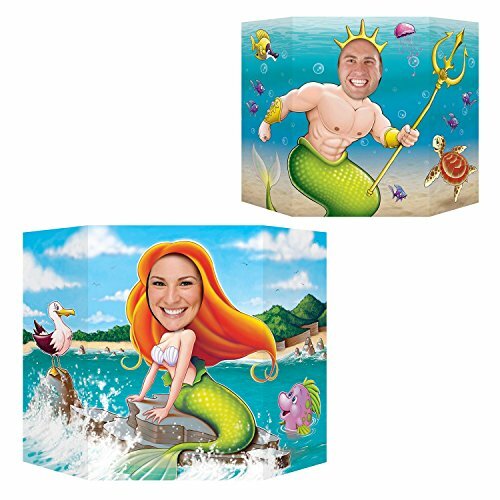 Let me give you a head start with my favorite mermaid party supplies. If you need other ideas on what you can do to make a magical night, check out my mermaid party ideas page! There are so many fun and creative mermaid decoration ideas out there but here are a few I really think to add to the experience. These blue foil party decoration curtains work great as a photo background, door entrance, or wall hanging. 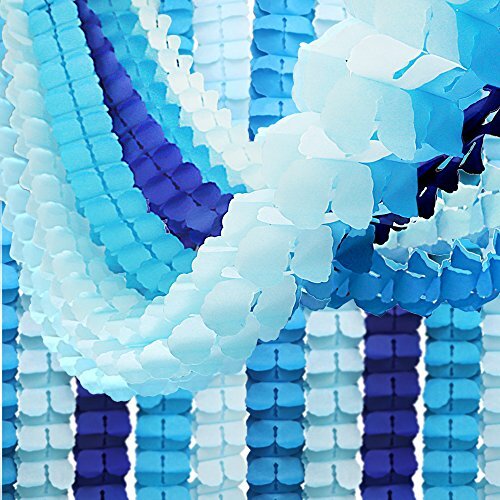 Helping your guests feel like they are swimming in the deep blue under the sea party! 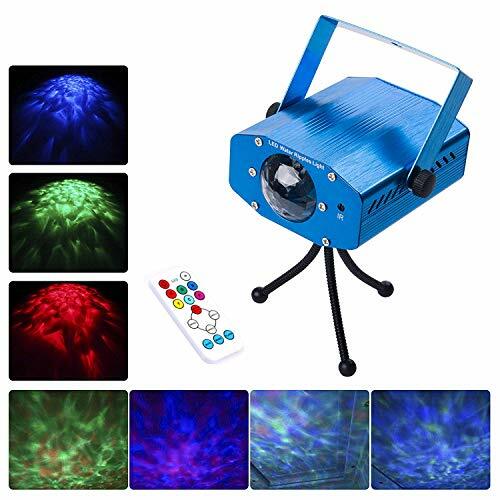 Only $20 and super easy to set up! Have this reflecting on the wall or ceiling so guests can look up and see the reflection of the water. I love a simple and easy themed party! 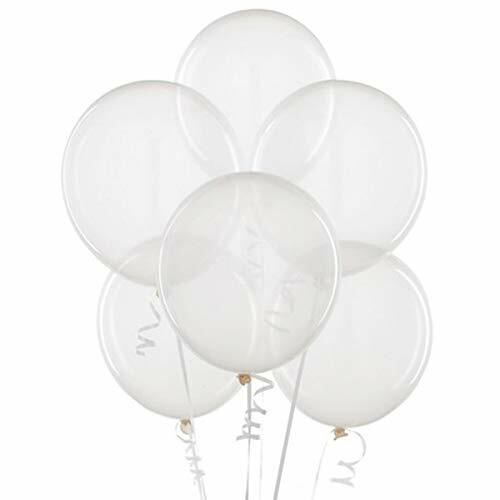 Fill up some clear mermaid balloons for underwater bubbles with or without helium. Streamers are consistantly a hit for a birthday party. These pose as huge waves on the surface as you stay safe underwater. 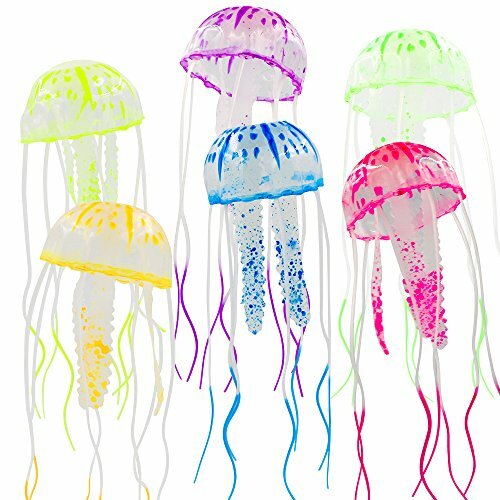 This is just one example of the sea life decorations you can use for a themed party. Add some jellyfish, sharks, starfish, or anything else you can find out in the deep ocean. 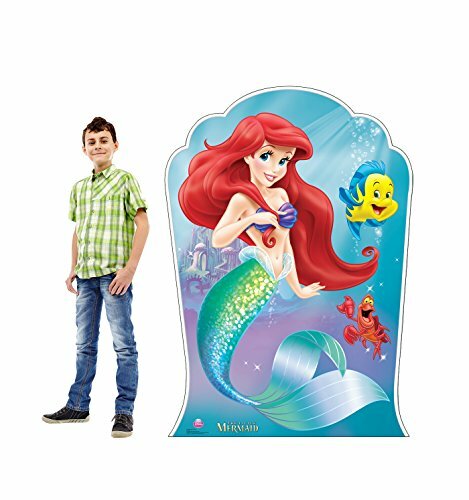 Who doesn’t want Disney Ariel with her mermaid tail to come to the party? That girl influenced so many of us Mer-folk of COURSE we are going to invite her! 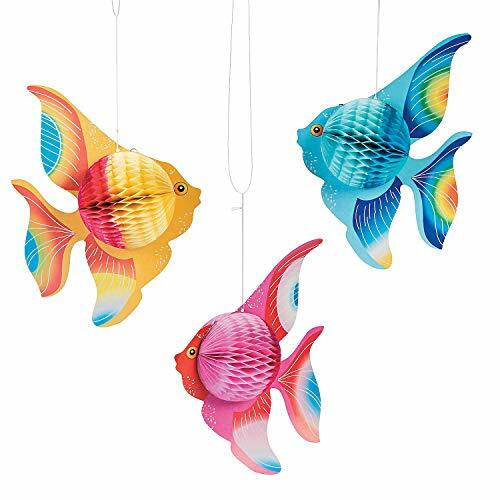 Lights bring a fun ambiance indoors or out. 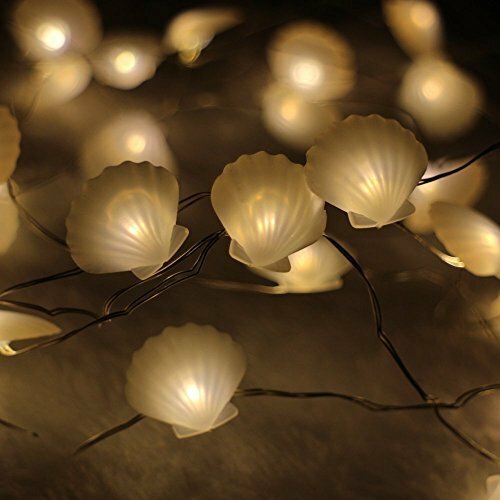 Add shell or even Christmas lights to set the mood! 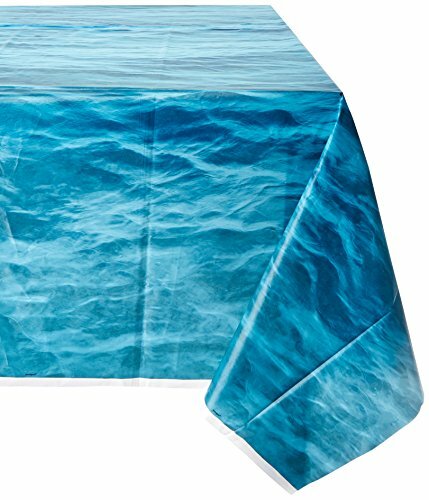 I personally don’t like going over board on the table decorations but an ocean or mermaid themed table cloth will add to the theme of the party. 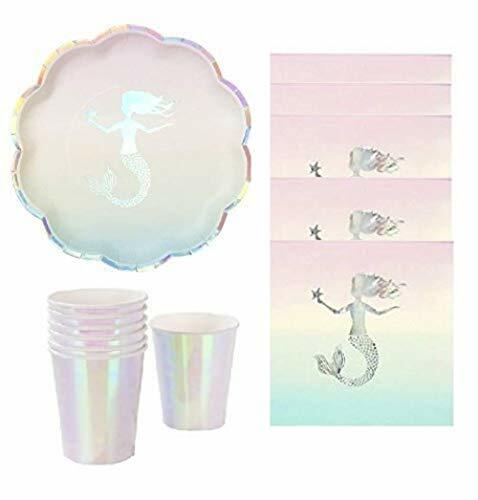 With this you wont have to buy mermaid themed dinner plates. Don’t feel like you have to have everything at the party mermaid themed. A few things can go a long way. Having some themed dinner paper plates, dessert plates, and cups are really inexpensive. I love these! The cake is the center peice of the party. Adding a quick add and can be reused over and over again. I know whats on my wish list this year! 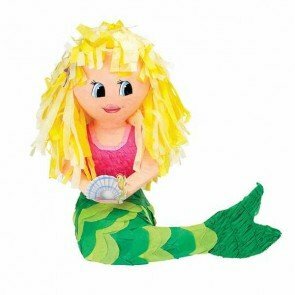 Not sure how you feel about hitting a mermaid with a stick but a mermaid pinata is a fun activity for the young guppies. If you have a pool, there are plenty of party games you can play outside. I have seen a few of these around and everyone is a crack up. Kids and adult themed photo booth props. Mermaid games can be both inside and out, but something under water themed is a good alternative activity while people are mingeling. Need a little party favor? 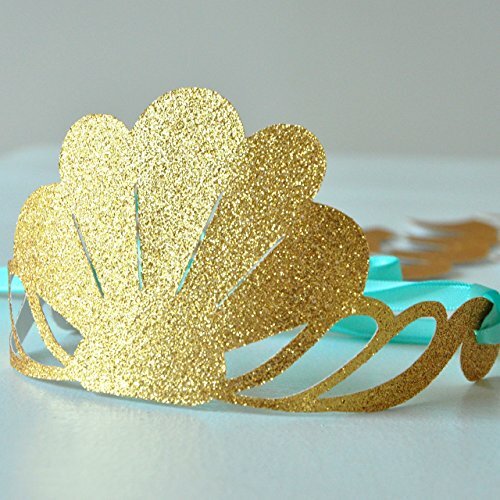 Who doesn’t want to wear a crown and feel like a mermaid princess. Some are much nicer than others but a simple sparkly cut out will do! Depending on the age, this could be a riot. 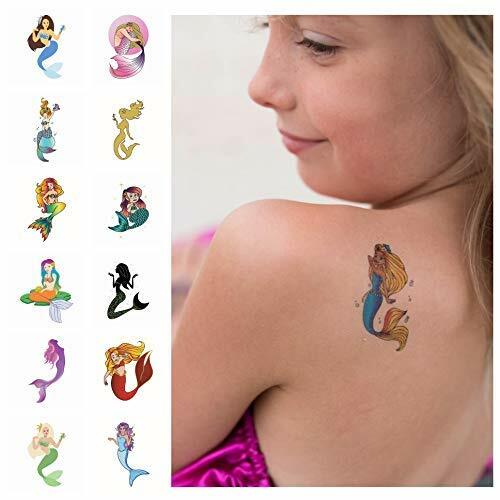 Some mermaid temporary tattoos for people to choose from and keep in their party kit favor bag. A simple activity that will get coversations started. 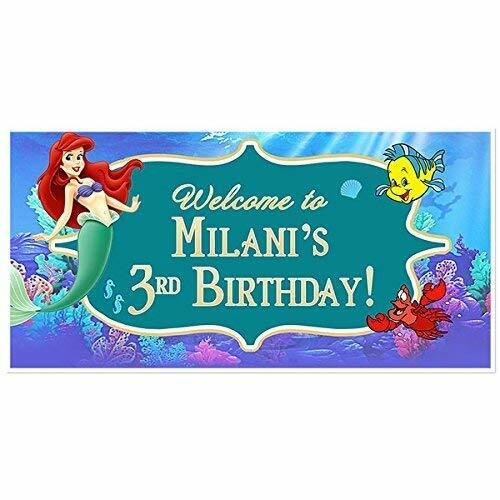 Truth be told, The Little Mermaid is the most common mermaid party so there are a lot of options out there for decorations and party supplies! 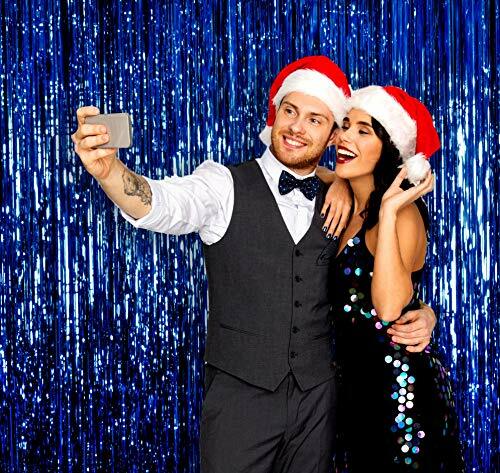 I hope your party decorations are awesome! Message below if you have any suggestions or questions!